A minimalist bride, at a gloriously maximalist wedding. Oh, like I wasn’t going to choose THIS dress. 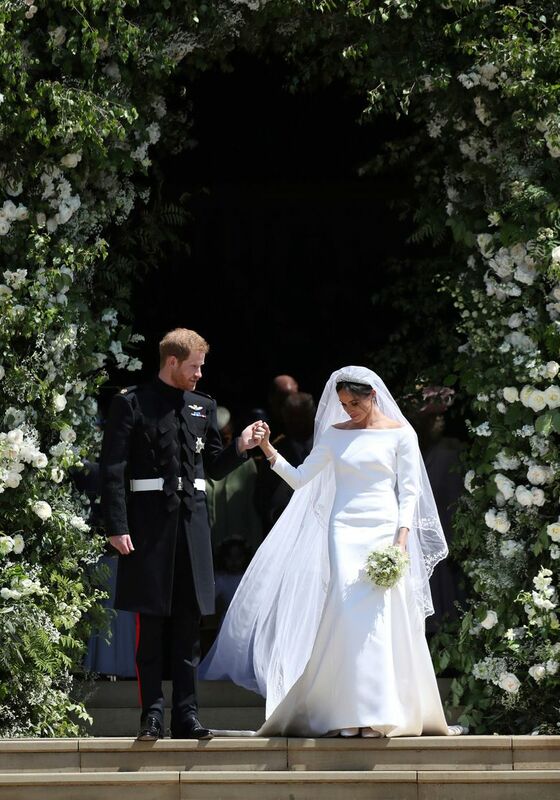 American actor Meghan Markle married some redheaded British guy last weekend, and she wore Givenchy — a longtime French fashion house that’s currently headed by British designer Claire Waight Keller (its first female lead designer), who designed the gown with input from Markle. I’ll admit that when I first saw this dress, I was a bit disappointed; it seemed so very simple, and maybe a touch too big on her. But the more I looked, the more I fell in love with it, and with the way it provided an elegant, minimalist backdrop for that stunning Art Deco tiara (owned by Queen Mary, and dating from 1932), the intricately embroidered 16-foot veil and the bride’s beaming smile. Sometimes less is so very, very much more. Congratulations, you kids. Can we have a royal wedding every weekend, please?